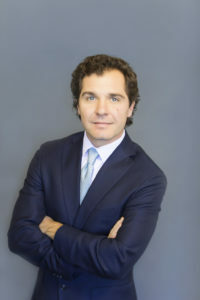 Justin D. Spickard – is a member of the Acquisitions Group at Covenant. In this role, Justin is responsible for sourcing and evaluating multifamily investment opportunities and managing relationships with owners, brokers and other key industry partners. Justin joined Covenant in the Construction Division in January 2013 as a Project Manager. In this role, he was responsible for managing the successful renovation of over 10,000 apartment homes across 7 states. Prior to joining Covenant, from 2011 to 2012, Justin was a Director of Federal Relations at the American Petroleum Institute in Washington, DC, where he represented major oil and natural gas companies before members of Congress and the Administration. From 2007 to 2011, Justin was a Legislative Aide to U.S. Senator Bob Corker (R-TN) in Washington, DC, where he directly advised Senator Corker on legislative and regulatory policy, including the Senator’s work on the Senate Banking Committee and Senate Energy Committee. From 2005-2007, Justin worked in Washington, DC as an aide to U.S. Senator Saxby Chambliss (R-GA), negotiating economic development policy. Justin holds a Bachelor of Science in Business Administration from the University of Tennessee (2005).